Rock's scariest, edgiest, most chaotic, most eccentric posters boys of rock are on the road and on their way to bring the house down. Slipknot, Marilyn Manson & Of Mice and Men comes to Farm Bureau Live on Sunday 31st July 2016. Edgy. Violent. Dark. Chaotic. Aggressive. Eccentric. 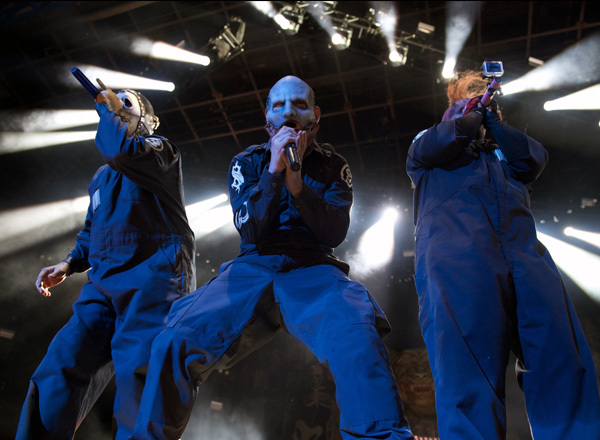 If you’re sensing an impending unrest and disturbance in your side of town, chances are, Slipknot and their freaky and hard rocking’ cohorts – Marilyn Manson and Of Mice and Men, are on their way to cause musical mayhem and madness. If you want to secure your place in the mosh pit or just simply be there rocking your heart out and seeing these gods in the flesh, better act fast and get your hands on those highly in-demand tickets.